One night I was feeling extra hardworking and decided to make desserts for after dinner. 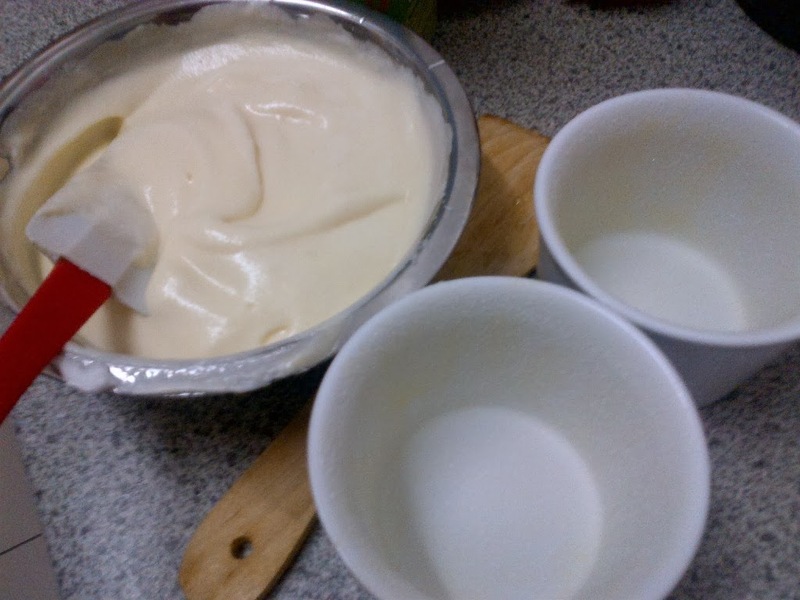 I've been wanting to try and make souffle but I knew that it is a very complicated dessert. However I was determined to try because how will you learn if you never try, right? I bought my ramekin cups from IKEA and it has never been used so this is the perfect time to use it. There you go. 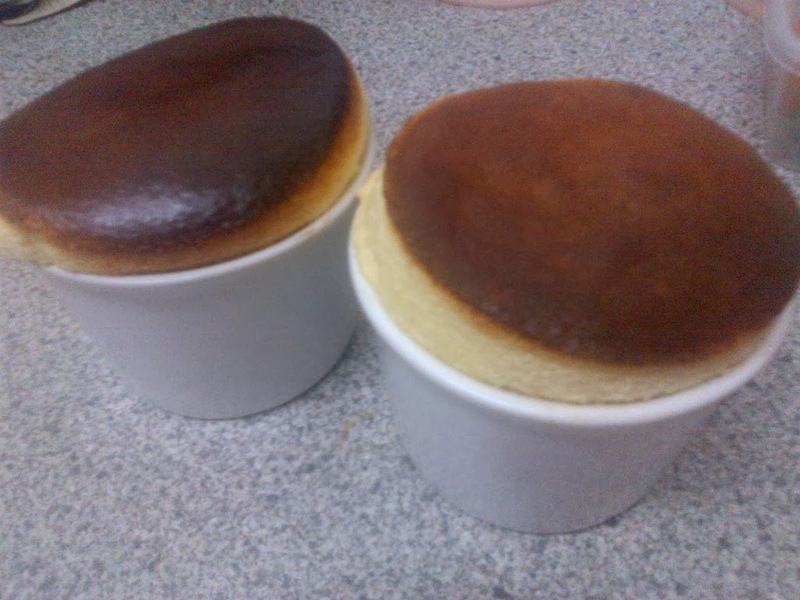 My souffle raised nicely but it was a bit too brown on top. Next time I need to make sure the temperature is low. 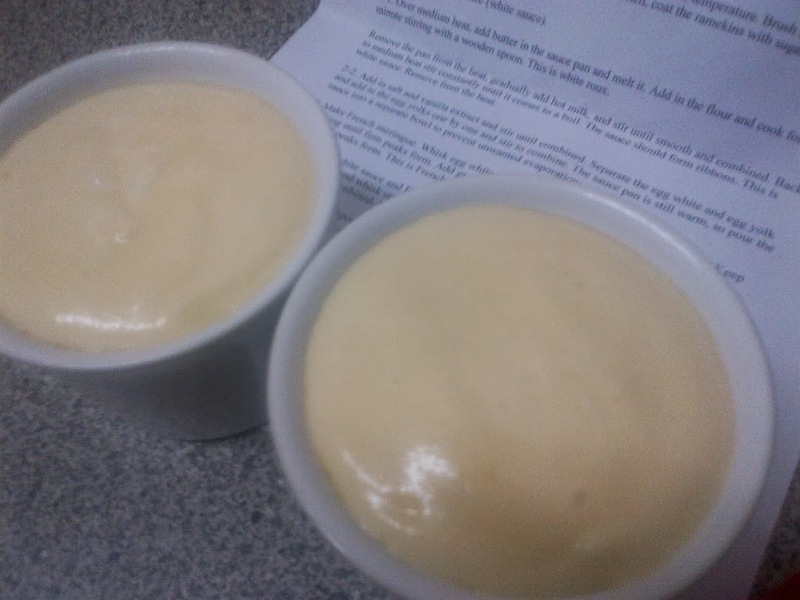 Babycakes and hubby loved my souffle. 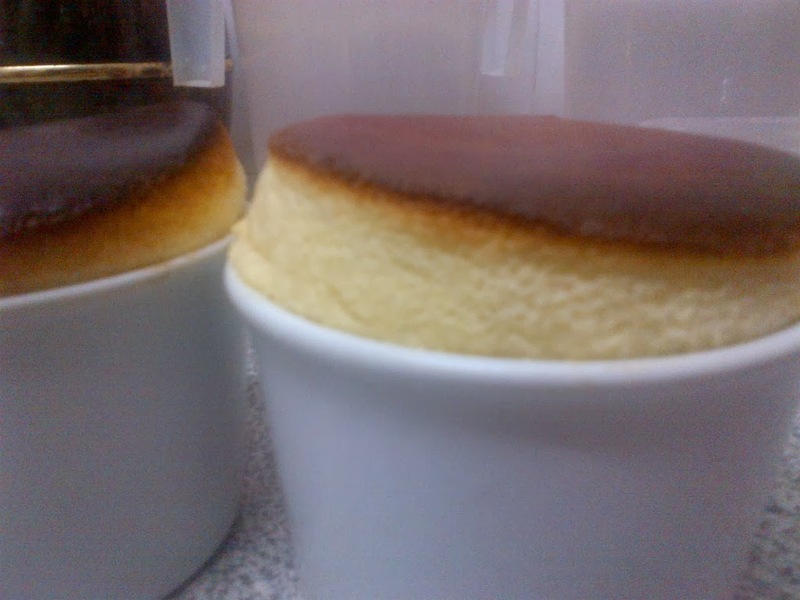 Next time I will try and make chocolate souffle, Insyaallah. Recipe and instructions are courtesy of Eugenie Kitchen.